This week, Kelly McMeekin, a volunteer on our home front research project, shares with us her research on the artists Robert George Sang Mackechnie and his wife Margaret Helen Barnard. Robert George Sang Mackechnie was a student at The Glasgow School of Art from 1918-1921 where he studied Drawing and Painting. Robert took daytime classes and was awarded a Diploma in 1921. He exhibited with the Royal Glasgow Institute of Fine Arts and the Royal Scottish Academy on and off from 1921-1934. 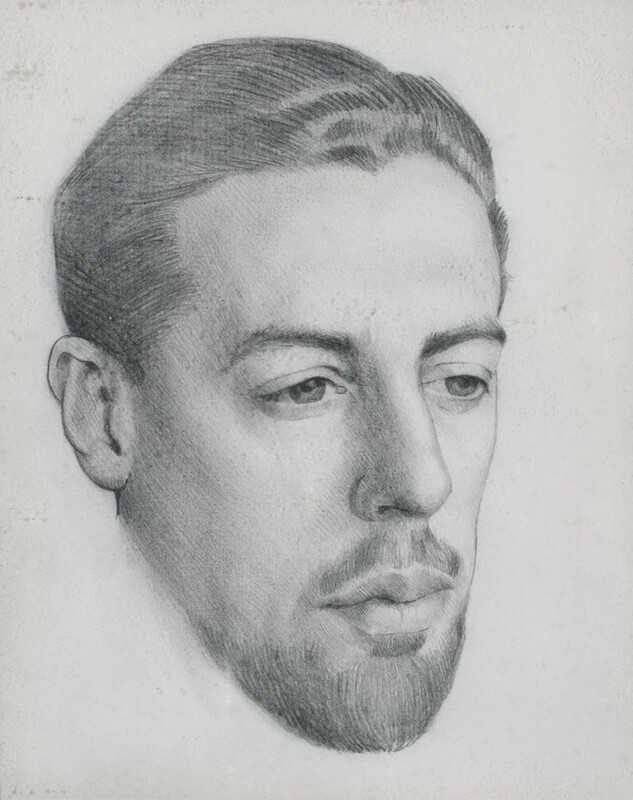 Robert lived in the West end area of Glasgow whilst a student, before moving to Florence for a short time with his wife, fellow GSA student and noted artist, Margaret Helen Barnard, whom he married in 1924. Margaret Mackechnie (nee Barnard) was a student at The Glasgow School of Art from 1917-1923 where she also studied day classes in Drawing and Painting. Margaret went on to be known for her painting and linocut work. Robert and Margaret moved to Rye in Suffolk due to Robert’s poor health, where they became influential members of the artists community. Throughout their lives they always retained their connection to Italy taking a house every summer in Positano, to ease the effects of George’s asthma. During the First World War both Robert and Margaret were involved in the war effort in a variety of ways. Robert was not on active duty due to his failing health and so he undertook Munitions work (this role would be something he would again return to in WW2). Margaret was also active in her efforts, cultivating an allotment and there are reports of her driving an ambulance. 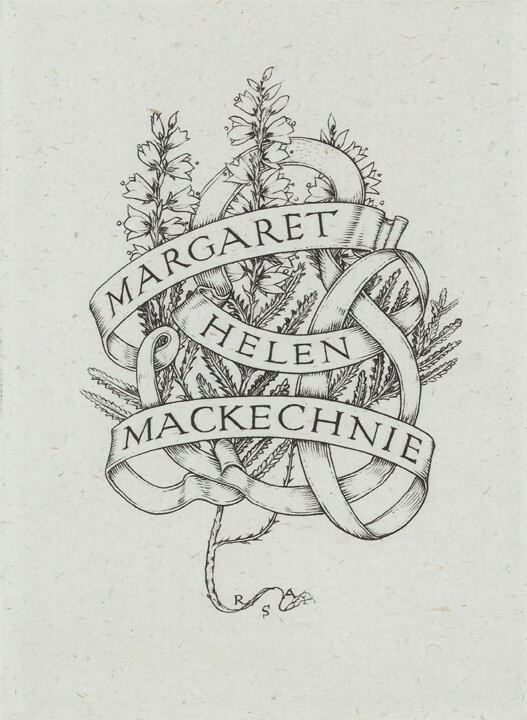 Upon their initial return from Florence, Mackechnie joined the Seven and Five Society in 1927 along with artists such as Ivan Hutchins, Barbara Hepworth and Ben Nicholson. In the early years the group mainly consisted of ex-service men whom had been art students before the First World War and were interested in exploring a return to order – this was popular after the upheaval and uncertainty of the Great Conflict. Mackechnie exhibited with the group in 1927, 1928 and finally in 1929 at the Beaux Arts Club in London. Robert George Sang Mackechnie died in 1975. 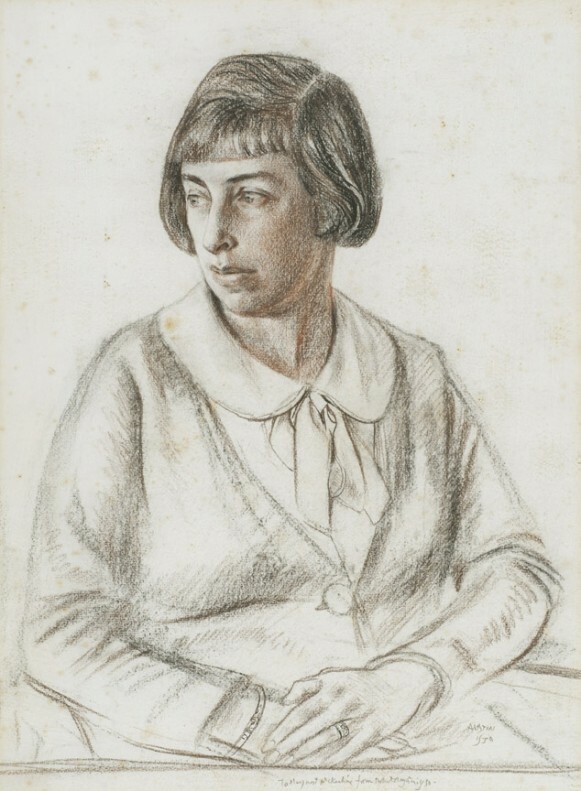 The images displayed in this post are works which are now in the collection of Rye Art Gallery and form part of the Margaret Barnard Bequest in 1990, prior to her death in 1992. This bequest contained works of both George and Margaret as well as other artists work they had collected throughout their lives.